Cook County has begun accepting registrations from people wishing to sell their homemade goods at local farmers' markets after waging a silent battle against a newly-enacted state law. Lawmakers last year passed the Illinois Local Food Entrepreneur and Cottage Food Operation Act, but Cook County officials didn't embrace the law, saying it was ambiguous. "The name and residence of the person preparing and selling products as a cottage food operation is registered with the health department of a unit of local government where the cottage food operation resides." To them, that meant municipalities, not necessarily the county, should be handling those registrations. "It's not our responsibility to take on additional work unnecessarily," Sean McDermott told Illinois Statehouse News. McDermott is the spokesman for the Cook County Department of Health and an alderman for the City of Countryside. That left some area residents confused and frustrated. 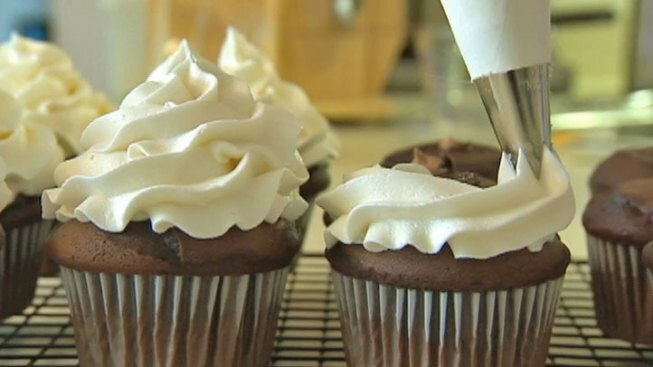 "I don't quite have the time yet to warrant a commercial kitchen, and I'd like to share my baking with others," said Ann Marie Leonard, who creates cupcakes in her Bartlett home. Countless other counties provided quick and easy registration, but not Cook. "In a matter of seconds, you can find McHenry County, DuPage County, Kane County. You can register right online. It takes two seconds. You don't pay anything," said Leonard. A key architect of the law accused Cook County of playing games. "To show their displeasure with the law in the first place, they decided they were going to create some roadblocks [and] delay the implementation as much as they could," said Wes King with the Illinois Stewardship Alliance. But county officials said they were awaiting clarification of the law from the Cook County State's Attorney's office. That clarification came at the end of May. Vendors wishing to sell their canned and baked goods at farmers' markets should first check with their local municipality to register. NBC Chicago found that while Evanston, for example, accepts applications for registration, Chicago, Wilmette and Glenview do not. Those who live in a municipality that does not offer a process for registration should proceed to register with Cook County.